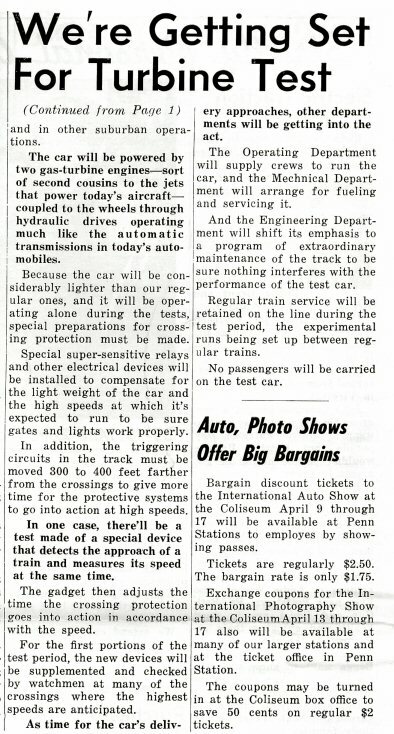 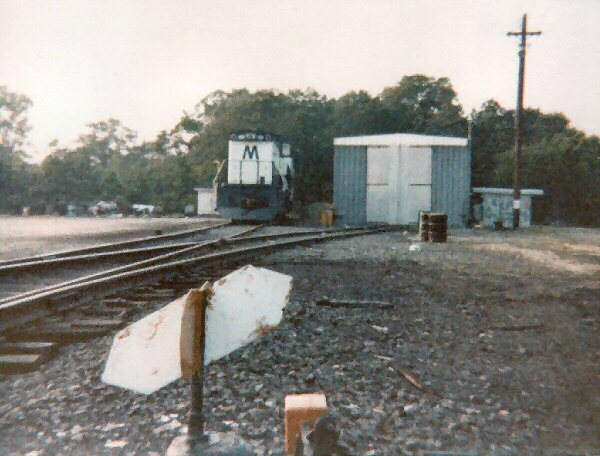 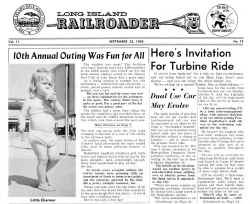 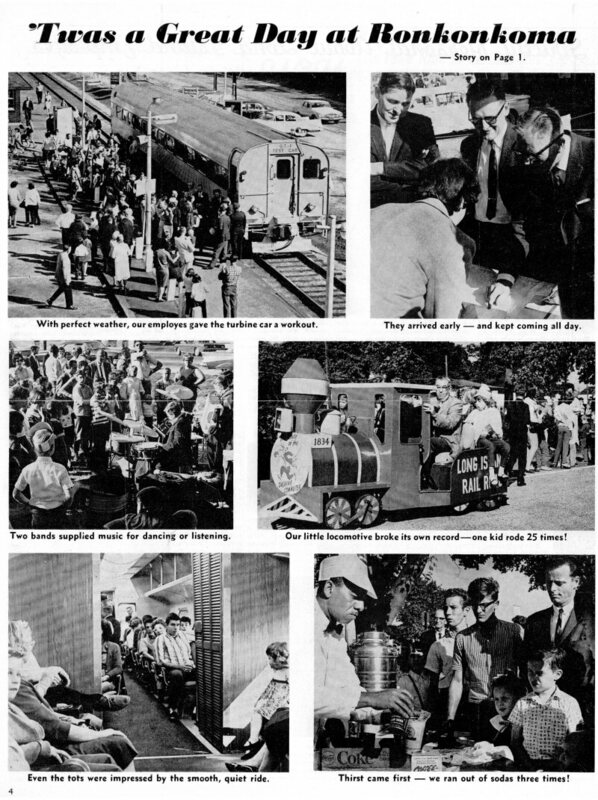 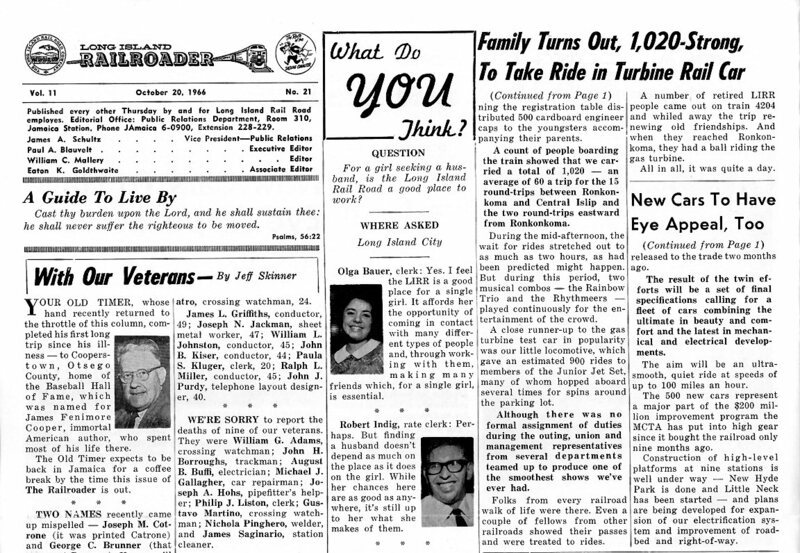 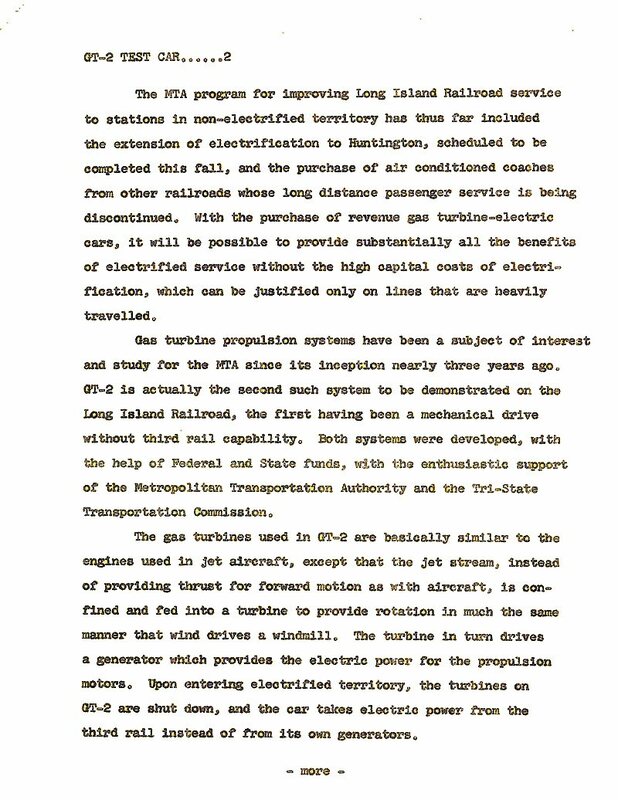 October 20, 1966 Family Day (10/9/66) Material above from "Long Island RAILROADER"
GT-1/2 Propulsion diagram Budd Co.
Mineola to Ronkonkoma Shakedown Run with LIRR and MTA, Budd, and Garrett engineers assembled to observe the GT-2 performance. pilots the GT-2 on a daily test run. 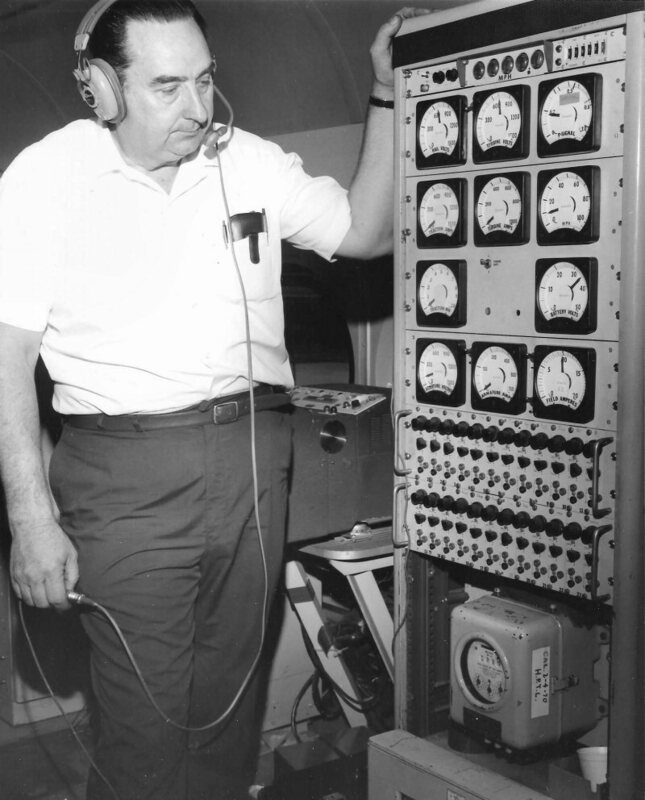 Preston Stringer, Garrett Corp., monitors the vehicle performance. 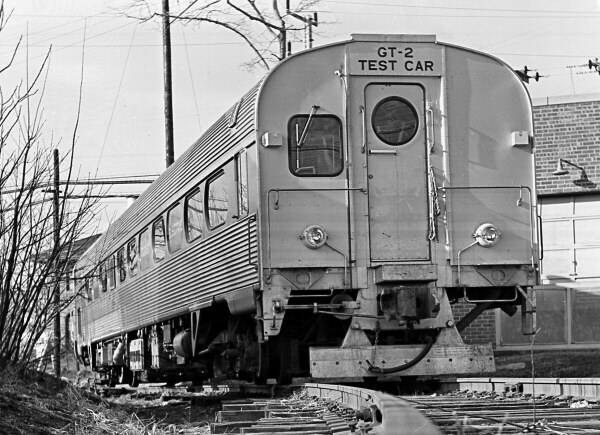 Garrett turbine car GT-1 was formerly BUDD experimental Pioneer III coach, built in 1956, under serial number 3880. 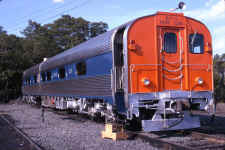 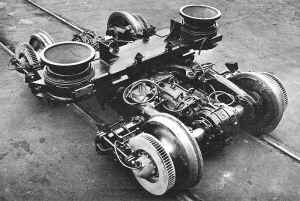 It was equipped with twin gas turbines linked mechanically with wheels. 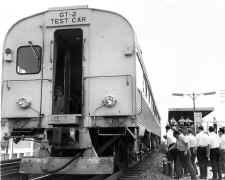 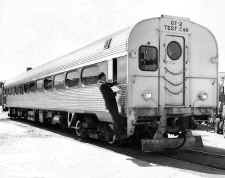 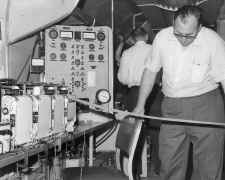 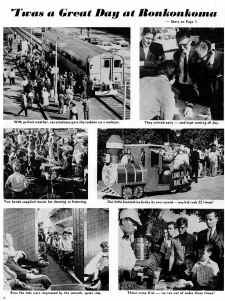 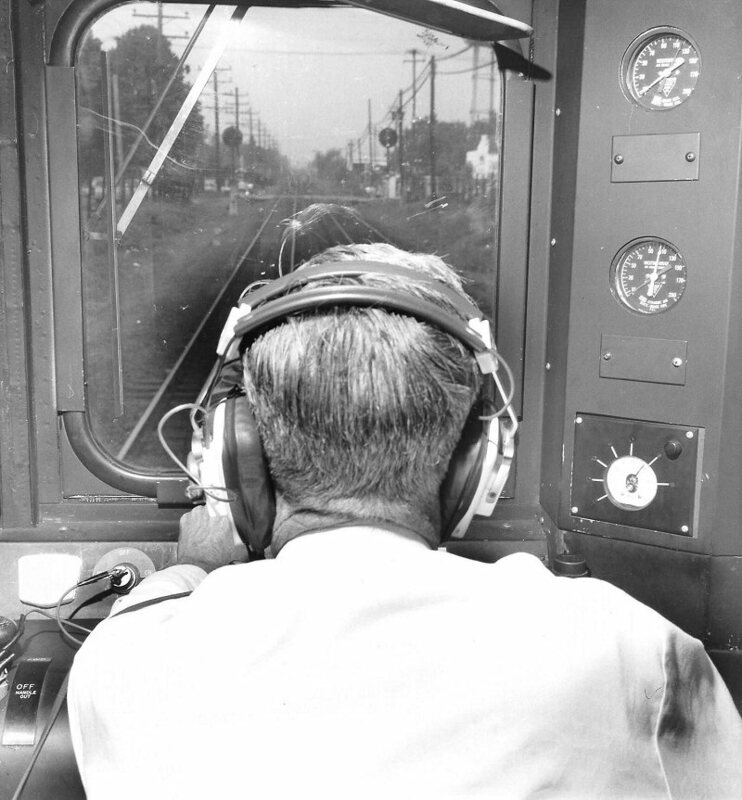 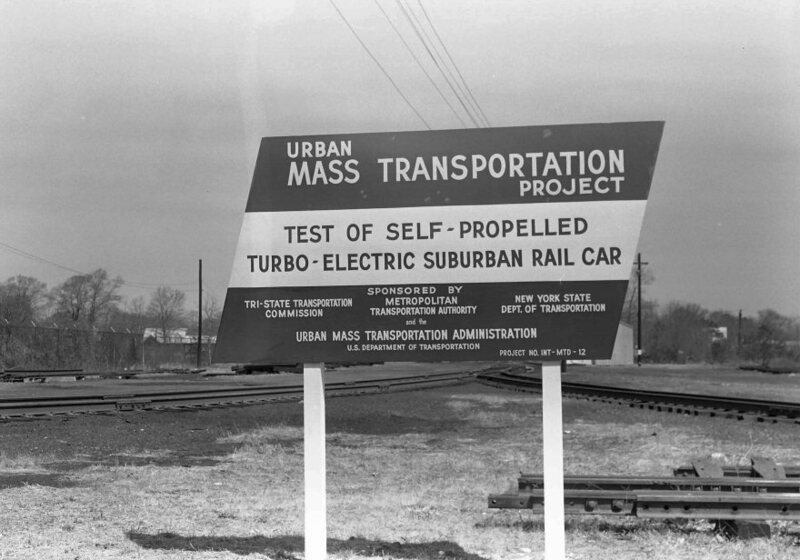 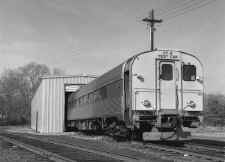 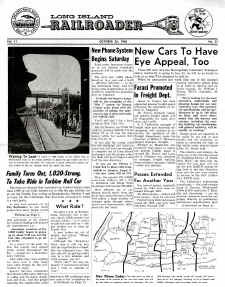 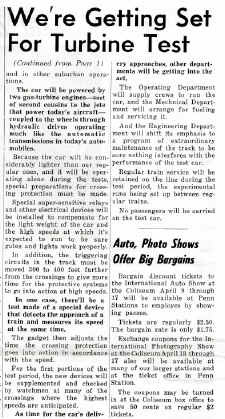 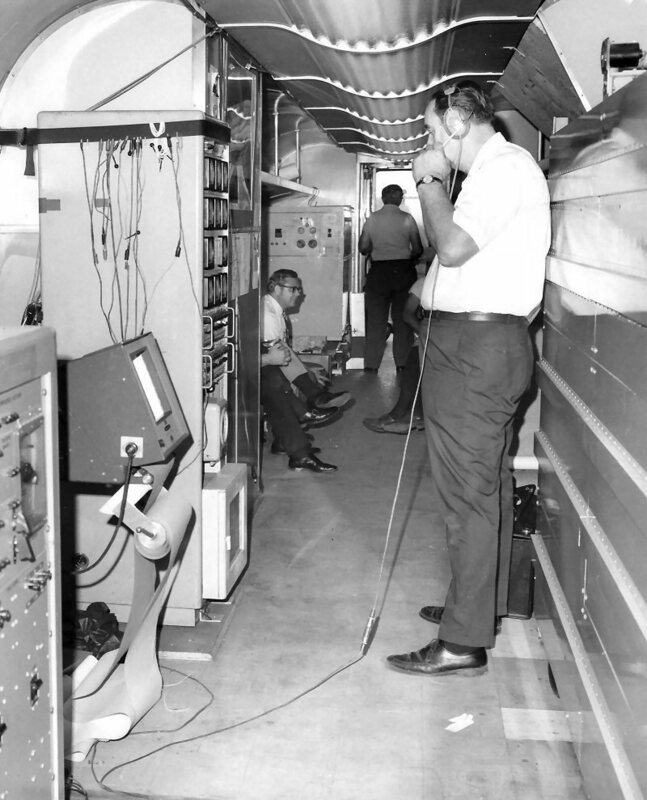 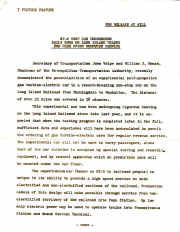 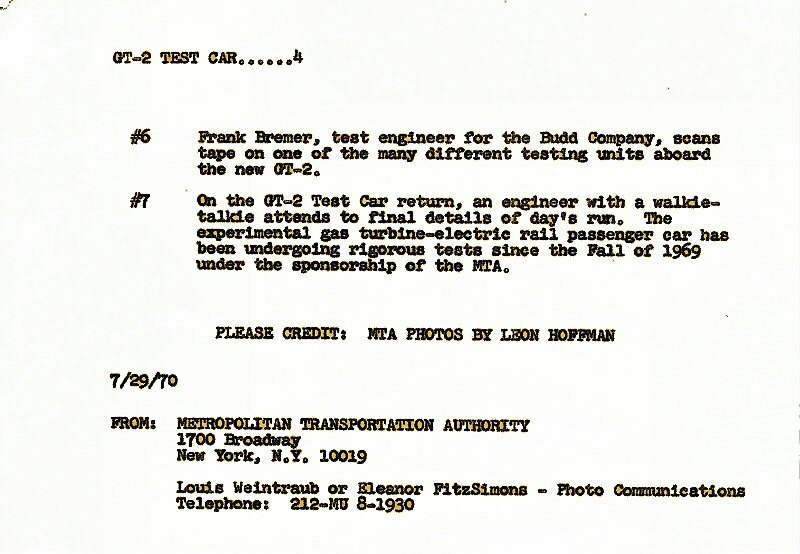 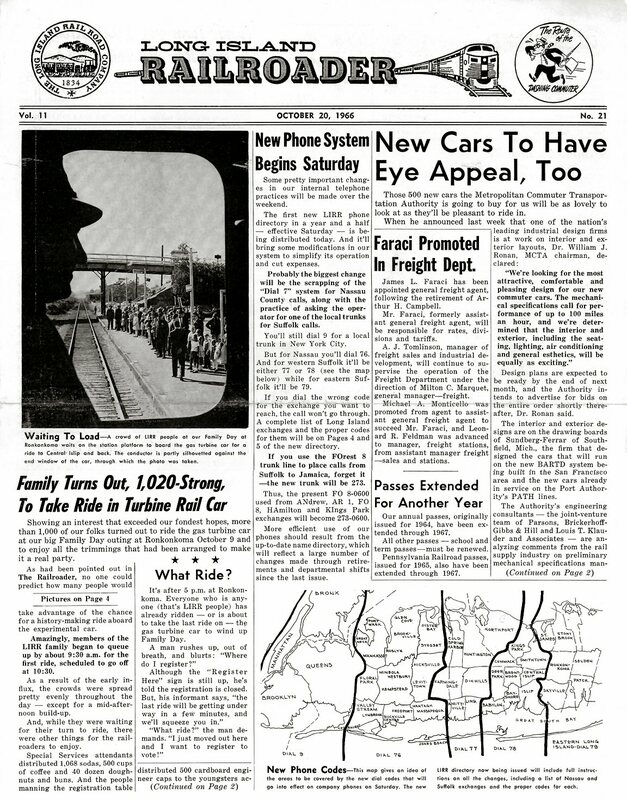 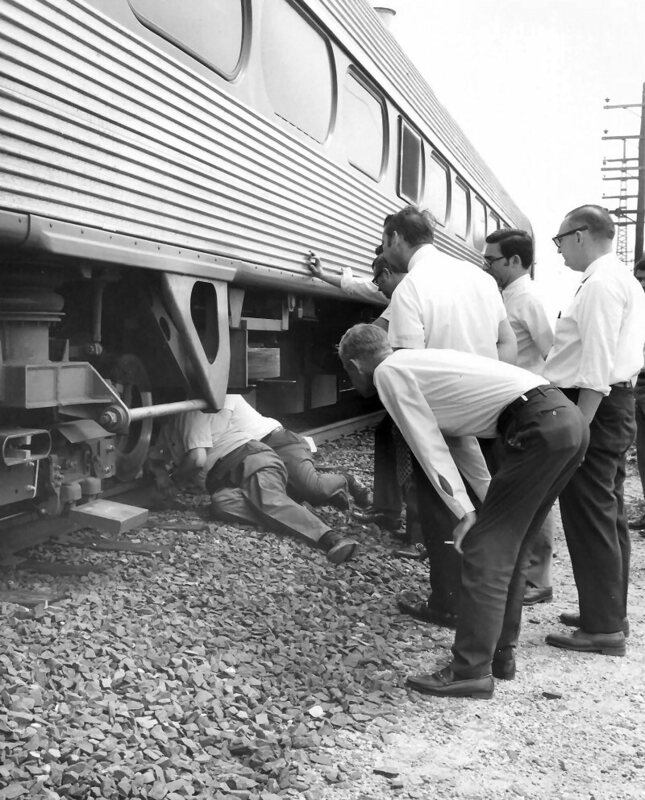 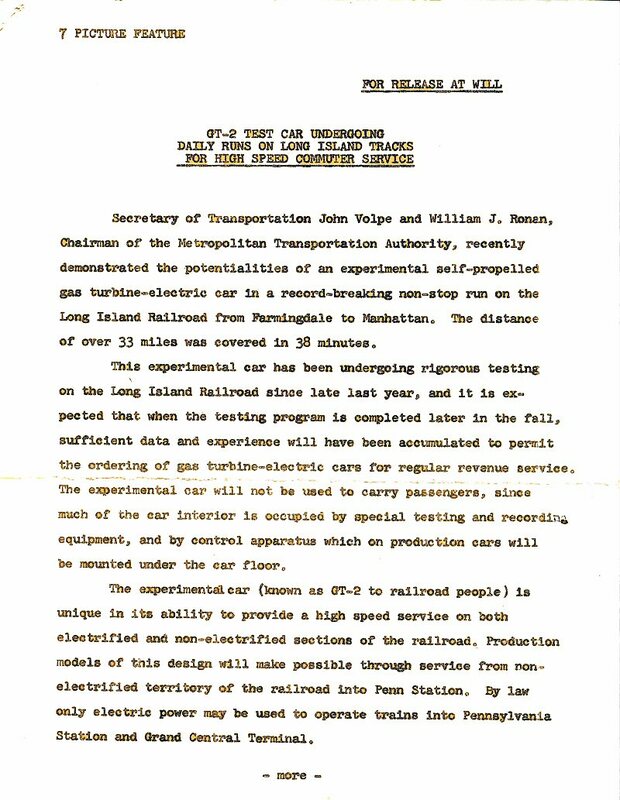 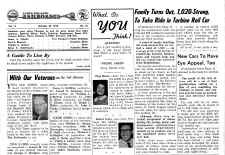 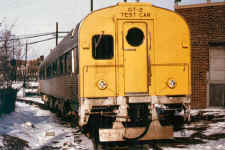 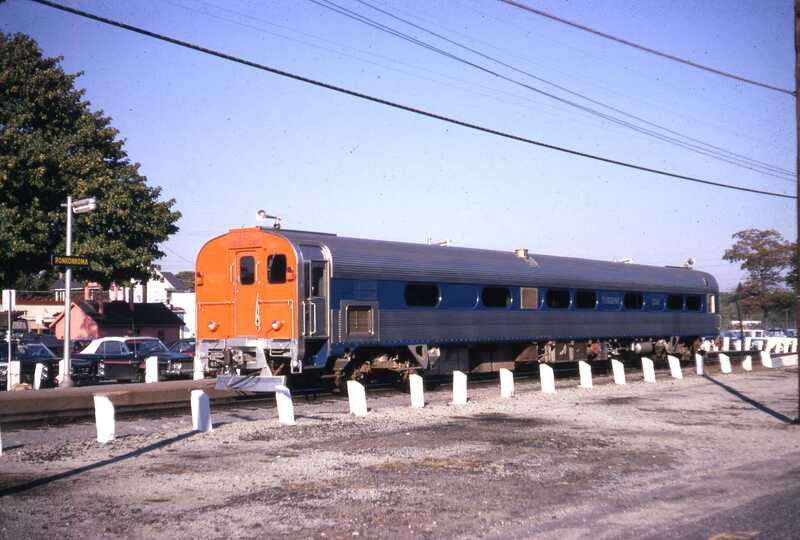 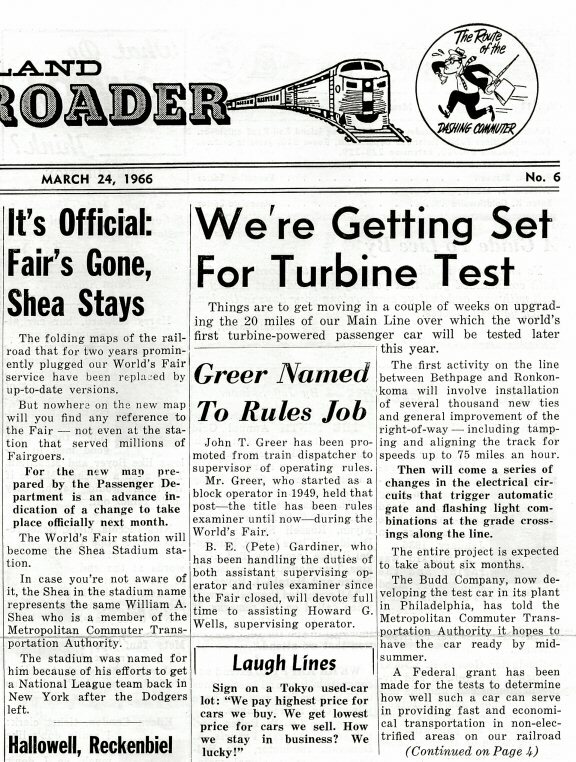 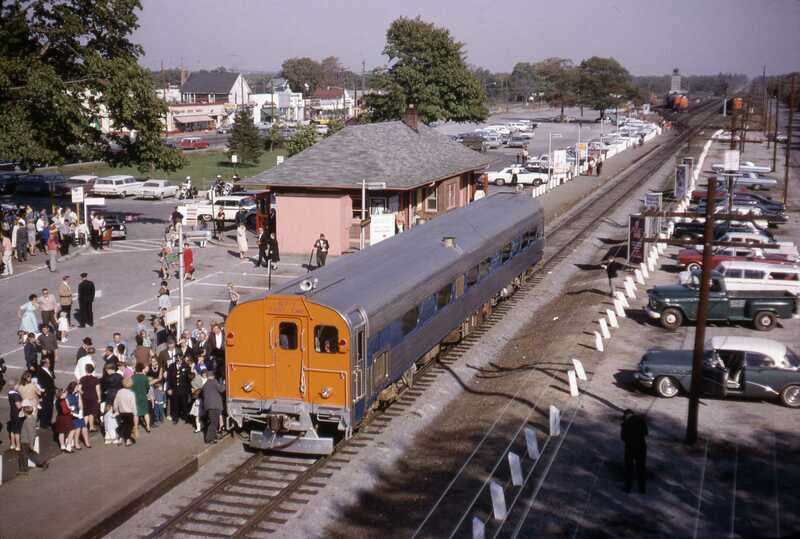 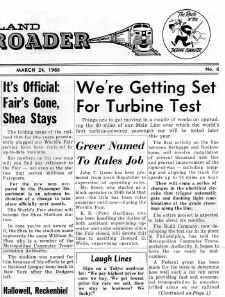 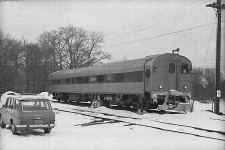 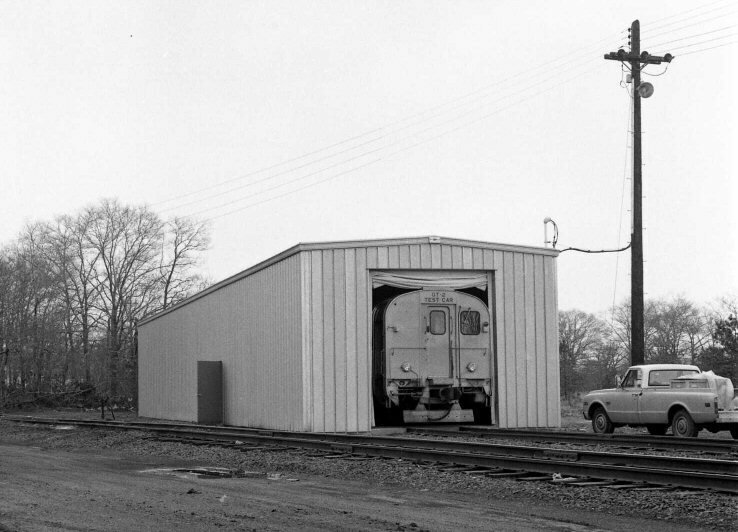 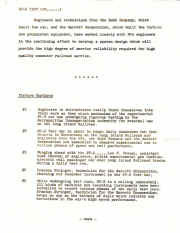 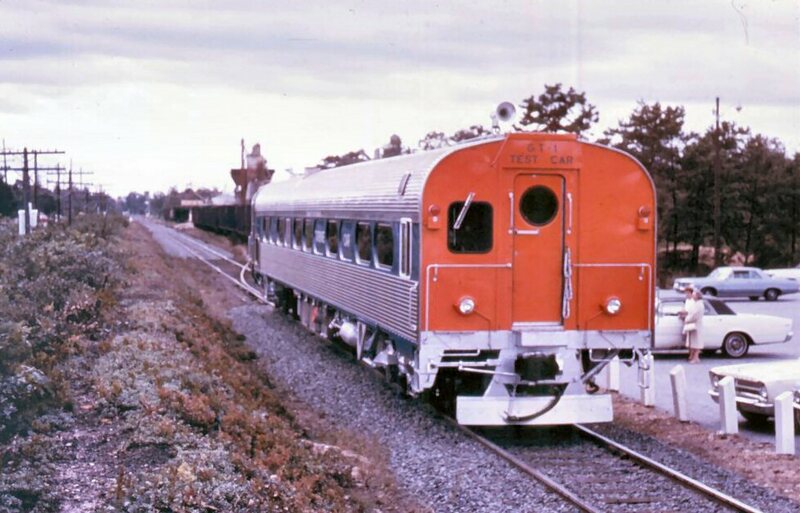 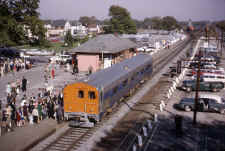 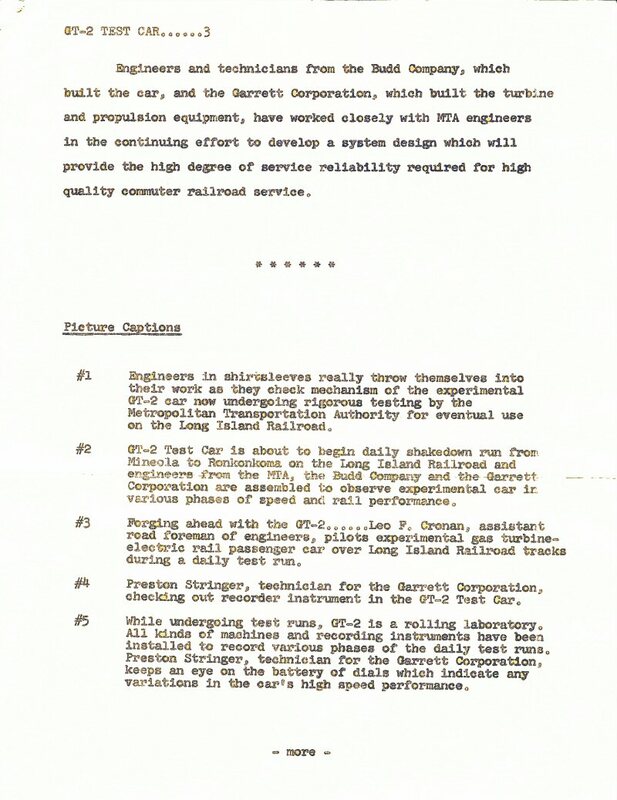 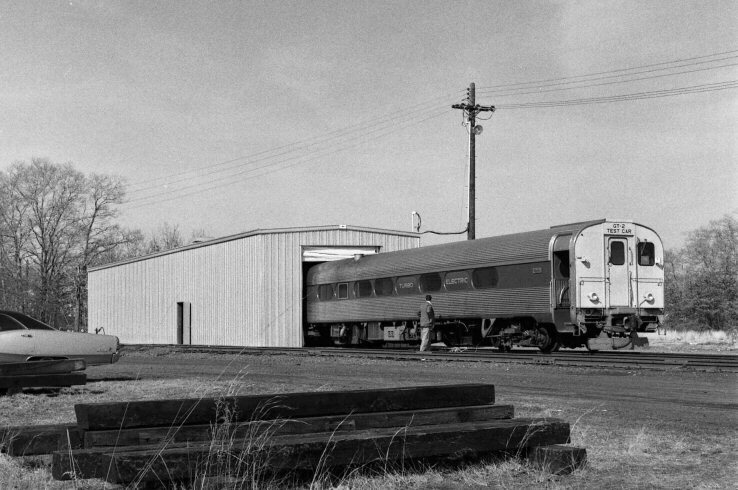 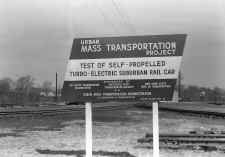 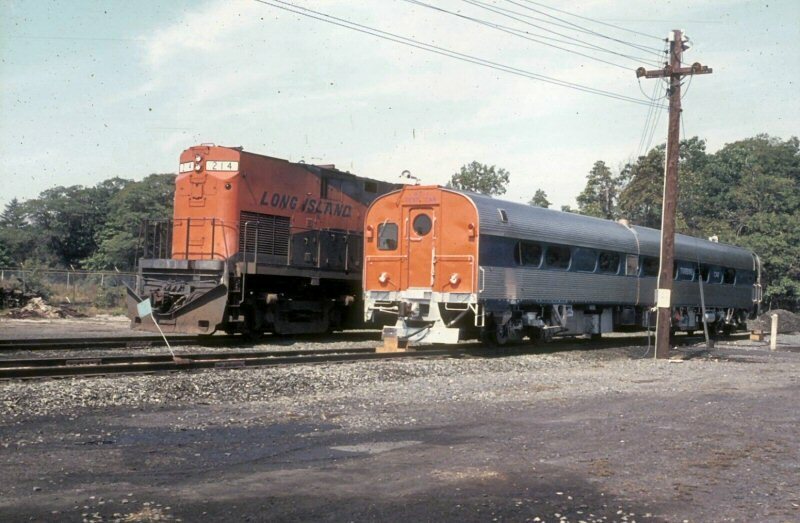 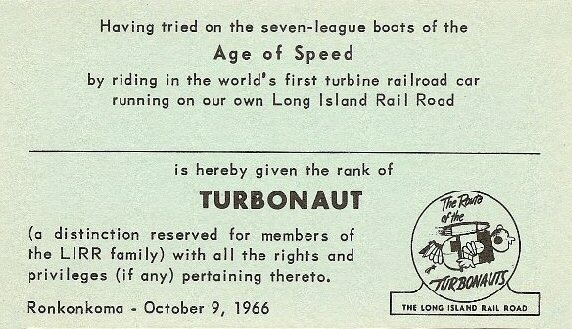 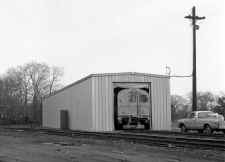 Its period of testing on the LIRR was from September, 1966 to May, 1967. 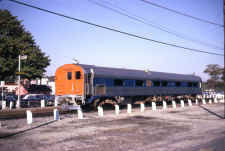 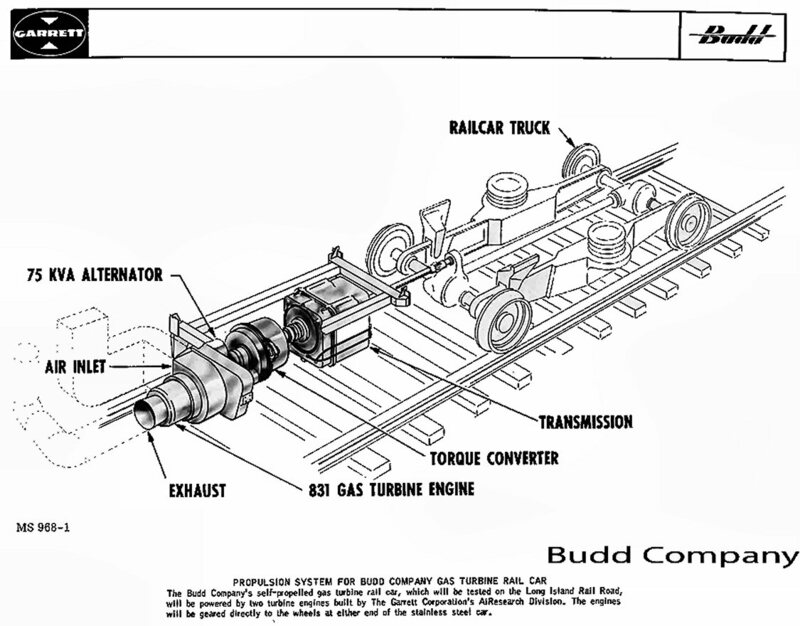 Budd Pioneer III lightweight truck as used in the original Pioneer III railcars. Note non-standard right-angle gearbox and disc brakes. 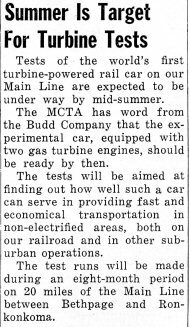 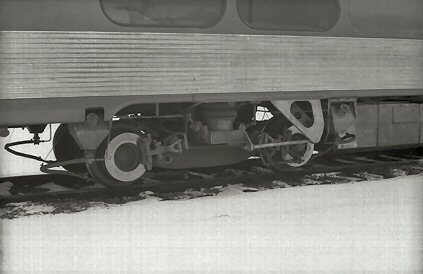 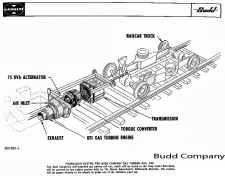 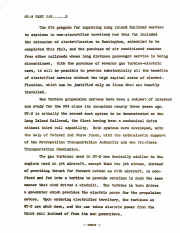 Photo scanned from Budd Company promotional literature from 1958.
demonstrated the practicality of gas turbine propulsion for railcars. 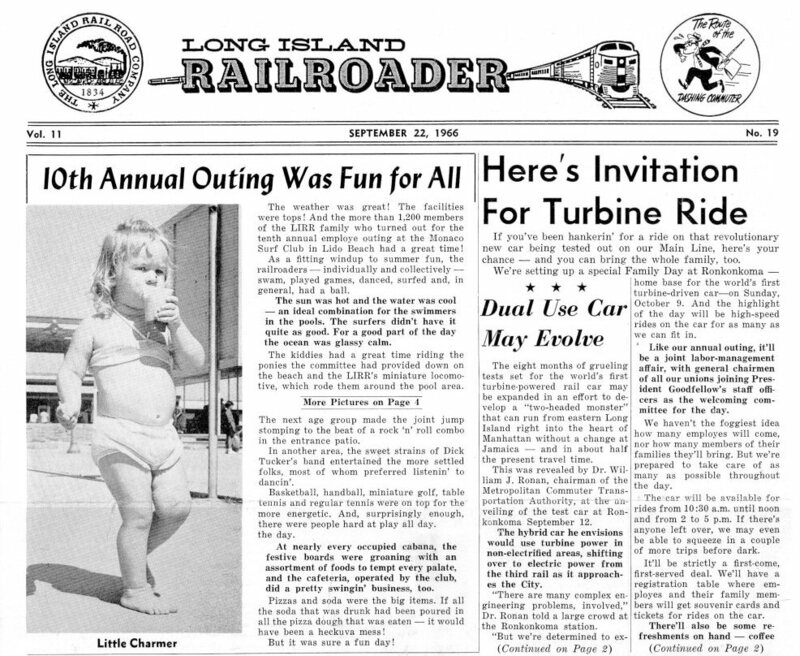 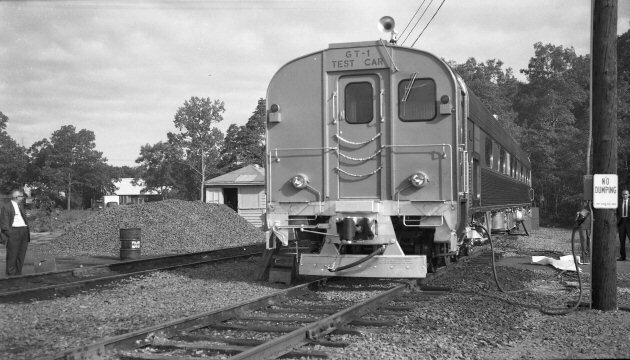 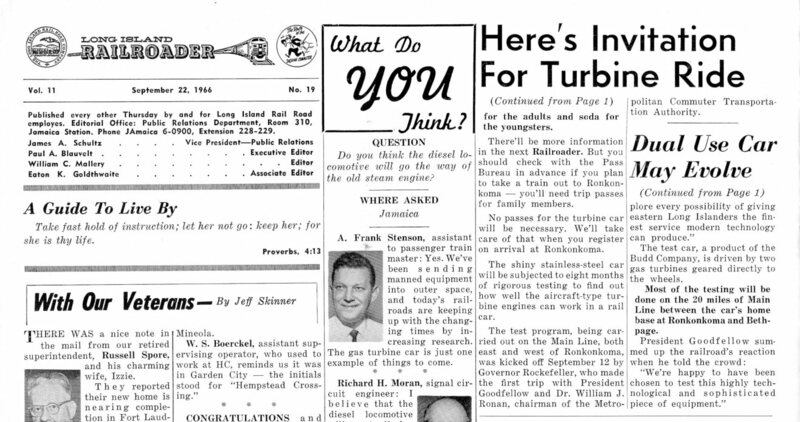 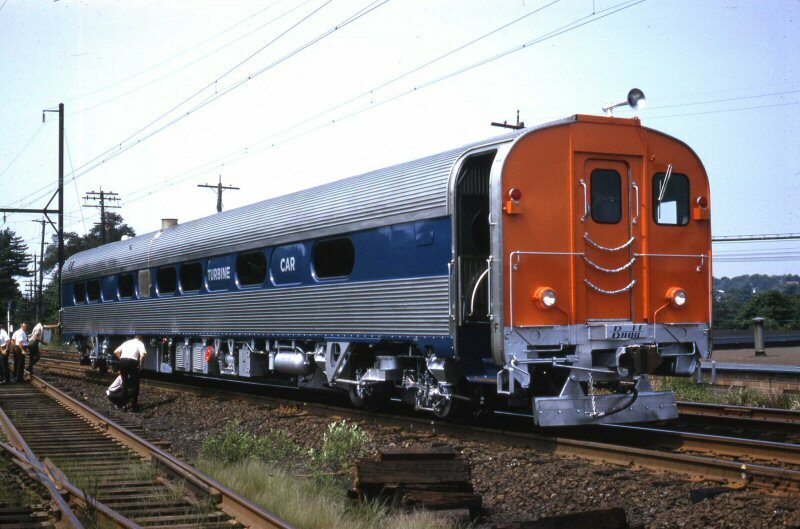 GT-1 Turbine back home July 13, 1967 "Long Island RAILROADER"